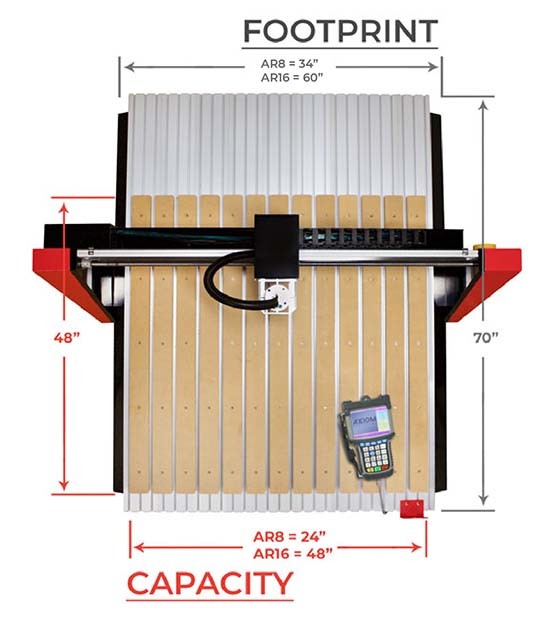 The Axiom Precision AutoRoute Elite CNC router represents the most advanced technology that is primarily found on machines in industrial shops. They offer the speed, torque and precision which can only be found in servo-driven machines. Cut at up to 320 IPM while maintaining repeatability of .05mm! Our Elite Series CNC routers have a full 8'' Z travel capacity, and a quiet yet powerful 3HP electro-spindle with integrated liquid cooling system. All Elite Series routers utilize 20mm precision ball screws, massive prismatic guides, a robust steel frame, and interlocking aluminum table. In addition, the integrated MDF spoil boards promise you the all precision you need, since they can easily be milled flat for a true perpendicular surface to the spindle. There is no need to attach your CNC router to your computer to operate it. Simply transfer your file to the controller via USB storage device. The hand-held HUST DSP controller is powerful, easy to use, and 4th-axis ready. Included Collets 1/4" & 1/2"
• USB port for easy file transfer. My decision to buy an Axiom CNC router was an easy one. I am a career carpenter and cabinetmaker, who has now shifted to small parts manufacturing. Because my cutters can be quite delicate (including 18 degree 0-point carving liners and 0.5 mm endmills) I require extreme accuracy. Many of my products require V-cutters, so I need machine that has little deflection in the table and gantry to assure consistency in my finished product. Axiom’s AR-16 has exceeded my expectations. The liquid-cooled spindle (with fan-cooled radiator), servo motors, extruded table, and rigid gantry over-deliver. More important to me is the excellent customer service I have received before, during and after the sale. 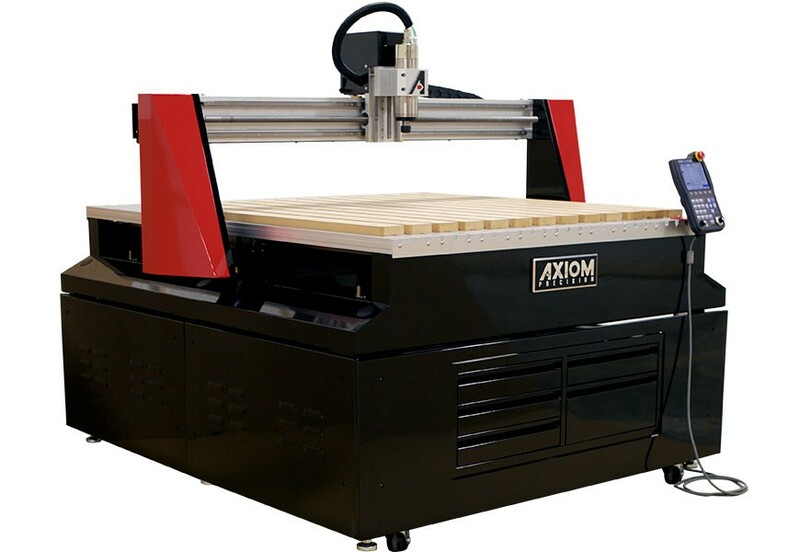 After just a few months of ownership, I am already planning to add another Axiom router to my shop. 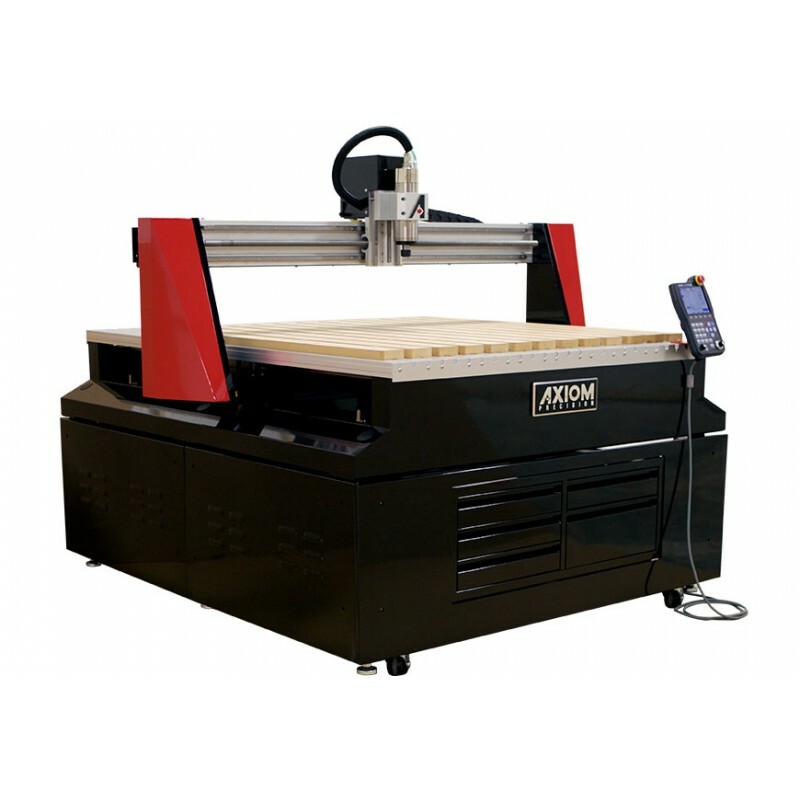 Axiom should be the clear and only choice for any shop seeking a small to medium format CNC.